Real pirates knew that life on the seas was dangerous. Their combat skills could be put to the best at any minute of the day. 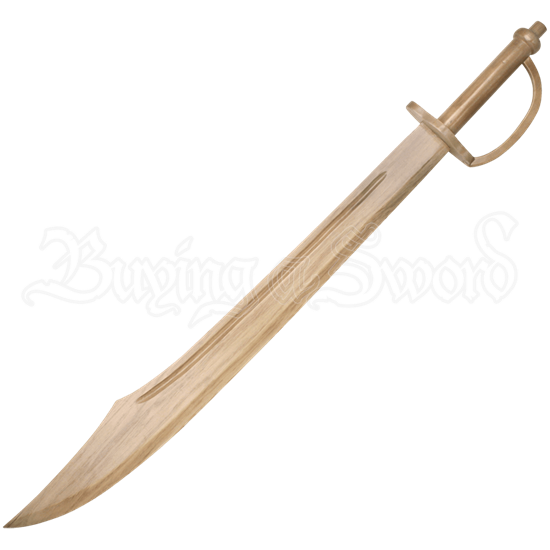 So do not hesitate to grab a Wooden Pirate Scimitar for the purpose of honing your pirate combat skills. This wooden sword is the perfect size for a would-be pirate who is looking to practice his or her skills before actually committing to a life of crime on the high seas. 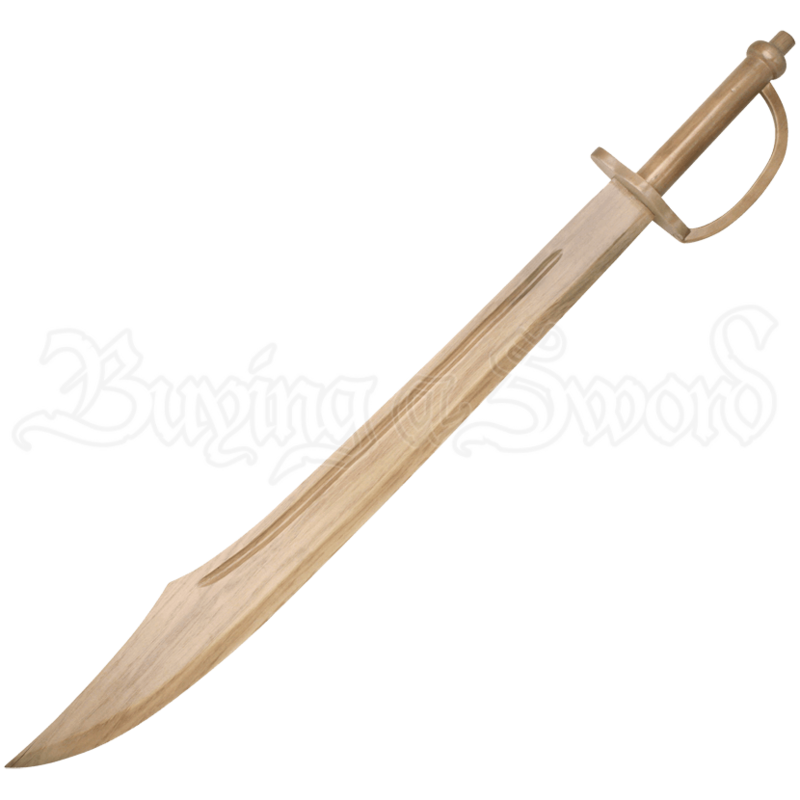 Made entirely of wood, from point to pommel, this sword will help build the swordplay skills that helped to keep a pirate alive in the frantic combat he or she would likely encounter on-board a ship. The blade is heavy and made for chopping with a deep blood-groove to reduce weight. The hilt consists of a rounded, simple guard, an extending quillon that serves as a hand-guard when gripping the blade, and a simple pommel entirely made from wood. So if piracy is for you, then get a head-start on those swashbuckling skills now. Practice with the Wooden Pirate Scimitar.